So happy to hear this, thanks Peter Lie. I’ve been saving for over a year to buy the Lumin D1, hopefully you guys keep it updated together with new products so I can use it for a long time. I have been using the LUMIN T1 with Roon for over one year. I strongly recommend the T1, which sits now in the middle of the LUMIN product range. Incredible sound quality. I’m very happy with sound quality so far! Ok… Few days spent listening to the new “black box”. I’m using a couple of Canton speakers which are really open and unforgiving (close to a studio monitor behaviour) together with the PMA in analog mode. This setup is not the very audiophile one, but transparent and basically “colourless” allowing to appreciate source’s mood. Roon’s integration is simple stupid and seamless. DSD upsampling does some sort of magic: D2 delivers a musical yet luminous sound. More spacious stage, not dramatically better than the Denon’s dac but a better defined stage. Instruments are stable, channel separation remarkable and detail is there but never being harsh or hissing. Midrange rich and with sort of depth effect, beautifully controlled bass. It is capable to split sound into “layers”, this allows to perceive not only details but their position too. The sound is close to the texture delivered by my Rega chain (P3+Bias2+Fono MkIII). Cannot find better words to describe this very well done product. Now it is your turn Lumin! Keep on improving it to sound even better! Yes, there are pending improvements for MQA, for both sound quality and feature support for working with upcoming Roon’s own MQA functionality. Peter Lie, why is it that Lumin only do the first unfold, when connected to the digital output regarding MQA? Is it possible it will change to full unfolding/decoding in the future via firmware or is it a hardware issue? MQA Ltd. says full unfold is an end-to-end process to analog output, because the further unfold (MQA Rendering) compensates for DAC characteristics to achieve MQA time domain performance criteria. Decoding MQA to digital output will result in the first unfold to MQA Core only. This is true for Tidal desktop app, Audirvana, Amarra, and the upcoming Roon MQA Core decoding. Terrific combo… The improvement is a further step forward. @wklie This amp allows balanced connection. Do you think I should move to XLR outputs? Should it improve further or it is a waste of money? Yes, using XLR should improve the sound quality because Lumin players have a true balanced design, even if your amp may not be. See if you can borrow or try an inexpensive balanced interconnect first. Lumin follows the pin 2 hot standard for XLR. Your amp seems to use the opposite standard, but offers a choice to reverse the polarity. So you should probably set it to the reverse position. Another consideration is that with XLR you’ll get a louder volume with your amp, due to the way your amp is designed. If you already have to turn the amp volume way down to achieve a comfortable volume, then a higher output from the source is not desirable. On the other hand, if you occasionally find that the volume is not enough for some music, then a higher output from source is likely to be beneficial. I’m using a pair of studio/recording XLR cables and all sounds much more solid. Volume levels are higher, but not dramatically. I can perceive a better dynamic (from low to top end of the spectrum) with less power than RCA. For users of Lumin D1 (only), the Sbooster BOTW P&P ECO 12-13V LPS will be replaced by a MKII version in the second half of April. I meant that Lumin is OpenHome compliant. Our Lumin native app is an OpenHome app that Lumin users use to control Lumin players operating in its native OpenHome mode, along with other users using it for other OpenHome players such as Linn. Is there a possibility it can support SMB protocol like Roon is doing now? The reason I’m asking is it doesn’t require DLNA/MimicServer setup running on NAS, basically SMB is enabled by default so Windows Explorer can access it. Hi @wklie , the built-in power supply for D2 is linear or switching type power supply? Typically, to use Lumin native playback (without Roon) you’d need to install the free MinimServer anyway on a computer or NAS. It should be possible to setup MinimServer to handle SMB shares. Installed into a system with Marantz 7704 front end and ATI AT528NC power using Roon and Tidal. Prior to D2 using 7704 DACs from networked music server (Serviio) without Roon. With the 7704 DACs getting pretty good sound or so I thought. Once I hooked up the D2/Roon with single ended analogue to the 7704 I noticed a marked improvement in sound. The changed actually surprised me. I was picking up a whole new level of detail. The 7704 and 528 were both new to me as well so they represented an improvement over prior system. As such my reference points were a little off everything sounded better. I added the D2 after about 2 months with the 7704/528. I noticed change at once. Suddenly I was picking up nuance I had never heard prior. Very subtle perceptions like experiencing the hall boundaries on some good choral and orchestral pieces. Mining far deeper into the attack and decay of any number of acoustic tracks. Across the board sound-stage was bigger and deeper with better precision. Most of what I play is hi res and remastered but some favorites have not been re-released in which case I play ripped up-sampled cd to flac conversions. Most surprising was what the D2 did for these cuts. Remarkable just better across the board. All this, of course, with the disclaimer that poor recordings are poor recording, but on a good track wow. Not quite sure what the D2 is doing for me with MQA but Tidal has been a real treat. Additional note. I also own a Roon ready OPPO UDP203. I have sampled some tracks through this device however this connects through HDMI so A/B comparison is suspect. Again the D2 wins out. I would conclude the D2 uses its DACs to better effect …and…the D2’s output stages are formidable. I want to push Peter’s suggestion: disable digital out (if you didn’t) and try (if you have a chance) a balanced amp with XLR inputs. The improvement if even bigger. 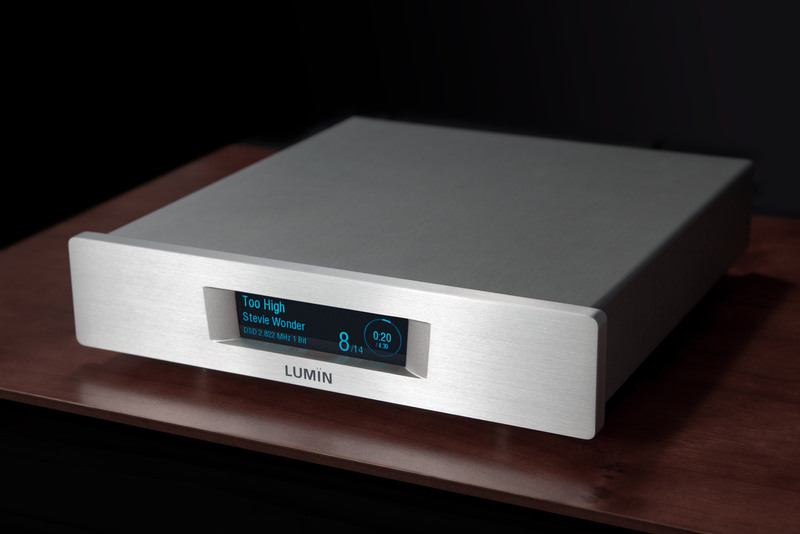 The combo with my Luxman is “holographic”: with certain records I have the sensation to be immersed in sound. Even with a simple 2 channel setup the stage is so wide. I have a D2 incoming in the next couple of days. It’ll be used in a simple chain with a LFD Integrated Zero MK III amp and Harbeth Compact 7ES-3 speakers. For a while I guess I’ll be really happy with an upgrade to the D2 from a Bluesound Node 2, but I wondered if people had experience with how much the D2 might benefit from an external DAC? I’ll be using the D2 with Roon and Tidal.